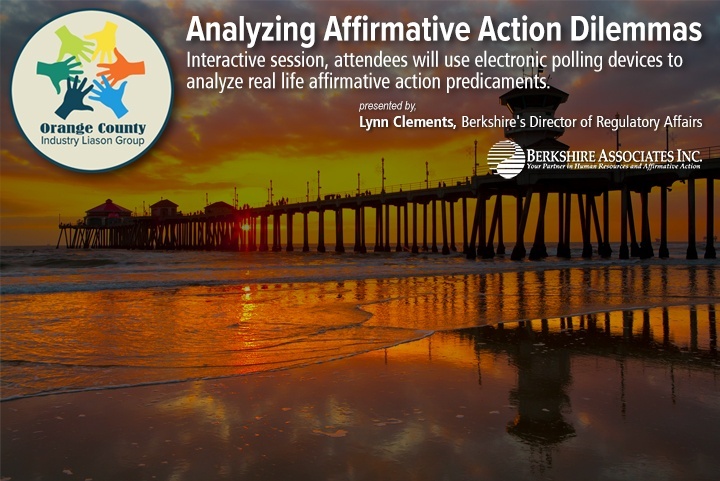 During this interactive session attendees will use electronic polling devices to analyze real life affirmative action predicaments, such as responding to the new Scheduling Letter, or overcoming manager resistance to hiring Individuals with Disabilities. Through discussion, attendees will learn the pros and cons of different approaches to contemporary affirmative action regulatory issues—and how those decisions impact an organization’s compliance strategies. If you would like to have a Berkshire Associates’ expert presenter speak at your organization’s next event, please contact us today.